Note: Some of the tutorials are pretty long, so don't watch them all at once unless you've got a ton of free time on your hands. It's better to view them in group order, then focus on practicing what you watched that day. When you feel comfortable, work on more! ICC member Amy Williams didn’t want her friends to feel this way, so she created the ultimate beginner kit. 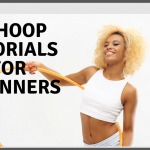 If you don’t have a local hoop teacher you can use these tutorials and definitions to start hooping and progress your skills quicker. 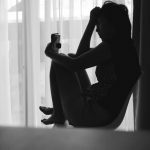 Many of the tutorials we chose for this article are from Deanne Love, a fantastic instructor making lessons for us from Australia. 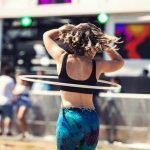 This is a great video to start with, if you have the mindset of moving and dancing with your hoop from the beginning then you will find your flow more easily. 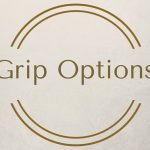 Some fundamental tricks that are essential to unlocking your skills and enabling you to dance freely and with style. Learn about planes, weaves, and the different spaces around you and your hoop. Weaves are a fundamental off body movement that is the basis for lots of tricks and is a great transition move for tricks in the vertical plane. This move is also good for joint mobility, arm strengthening and enhancing your coordination. An awesome illusion trick. Isos are also the basis for tons of vertical and horizontal variations. This move is great for strengthening your shoulder, wrists, and elbows. This move is really simple and looks great! This Hoop Lovers tutorial also shows a transition at the end that will allow you to switch your hoop to horizontal plane. This is spinning the hoop above your head. You may also hear this called “the cowgirl”. Great for on-body transitions and freeing room to dance. The lasso exercises your arms and engages the core, especially when done with “prayer hands”. This trick is a bit difficult, but is sure to please an audience and be a personal favorite. The vortex is good to start practicing early on, and you can do it when you master the two moves above. It’s sure to work your arm and upper back muscles, challenge your brain, and improve your coordination. This is an essential on-body move that is best practiced from the very beginning of your hoop journey. A solid waist hooping ability is essential. Chest hooping is a great core workout, and takes a lot of effort. Shoulder hooping is kryptonite to most hoopers, luckily chest hooping in the first step to keeping it around your shoulders. Once you’ve mastered some tricks in the vertical and horizontal planes, you’ll want to learn how to transition between the two. After this, you will be able to build sequences and develop a style with what you’ve already learned! This is an impressive looking way to start out your dance and move smoothly through the tricks you know. The escalator has a few variations (including reverse!) and it's a good way to transition between planes. This video from Soul Hula is full of great transitions and sequences. They are all fun and simple, but will add serious depth to your new skills. This one will be easier when you can vortex. If you haven’t got that yet, you can substitute things you have figured out while following the concept. We hope this online curriculum helps more than one hooper find their way in this journey. 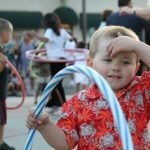 Use this article yourself, or share with the new hooper in your life. Special thanks to Amy Williams, aka The Rotisserie Chick for gathering these lessons for her friends and sending it to us. Featured image credit to IC community member Tristan Paul. We focus on developing system driven organizational methods, that enhance development and opportunity.